At South Coast Restoration, Inc. we’ve effectively managed numerous property damage emergencies in the Inland Empire, and we understand the intense emotions felt following serious flooding, storm damage, fire, or other property damage to the home. During such a devastating situation, you can simply rely on our experienced emergency restoration Inland Empire technicians to efficiently handle the emergency and begin helping you with putting the pieces back together. When an Inland Empire property damage crisis hits, we will spring into action- and during any time of the day or night. With our 24-hour emergency restoration Inland Empire services, you can breathe a sigh of relief as we’ll respond immediately to your crisis. From accurately assessing the damage to selecting the most efficient clean-up and restoration methods to helping you with the insurance claim, we can be counted on for full professional restoration services which will allow you to recover faster and stronger than before. During a devastating property damage situation it can be easy to lose your head. But no matter the intense emotions, it’s important to stay calm and simply contact us at South Coast Restoration, Inc. for high quality emergency restoration service. Don’t wait to call us if you’re in a serious water damage, fire damage, or other property damage emergency. Simply dial 1-800-992-4493 anytime of the day or night. 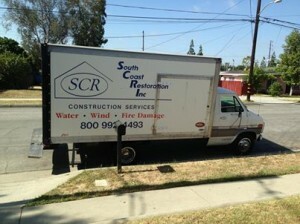 You can also learn more about our range of our restoration and construction services in Inland Empire by browsing through www.southcoastrestoration.com.